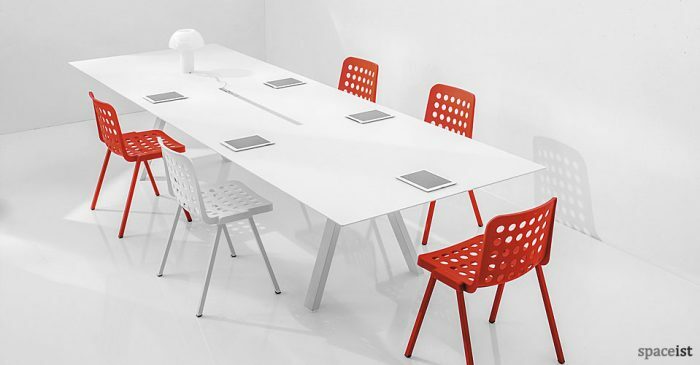 If you’re a typical business, you’ll know that there’s no such thing as a typical meeting. 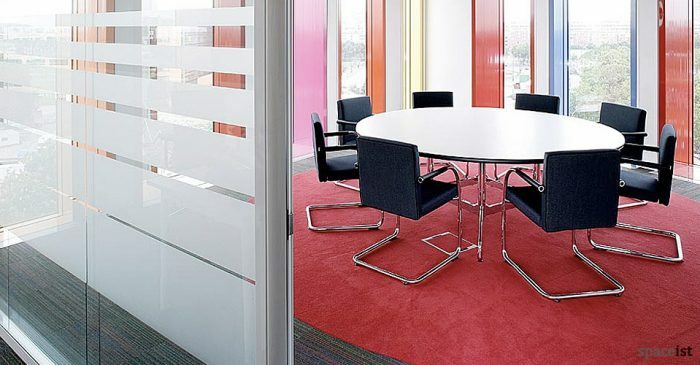 That’s why our extensive selection of meeting room tables has something for everyone, to ensure that all of your meetings inspire effective communication and showcase your brand, whatever your meeting room looks like. 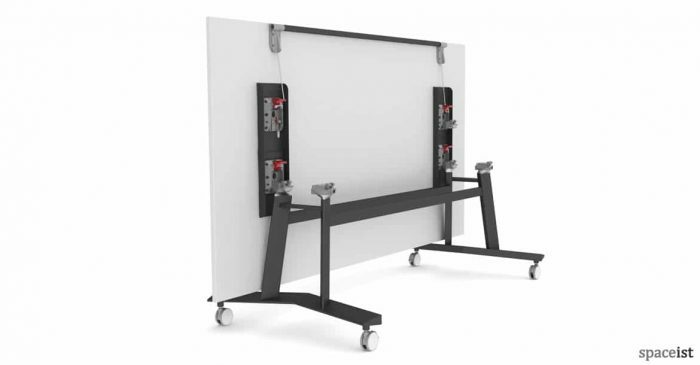 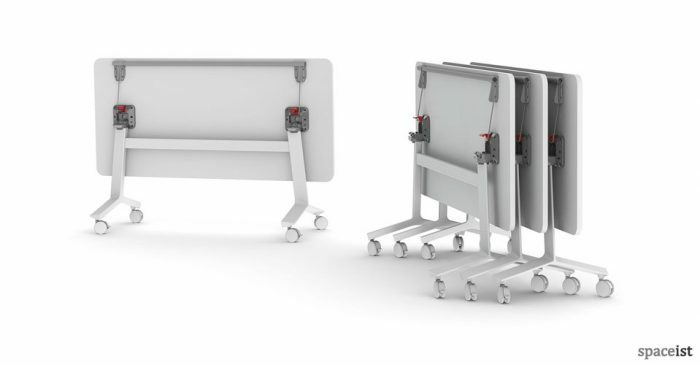 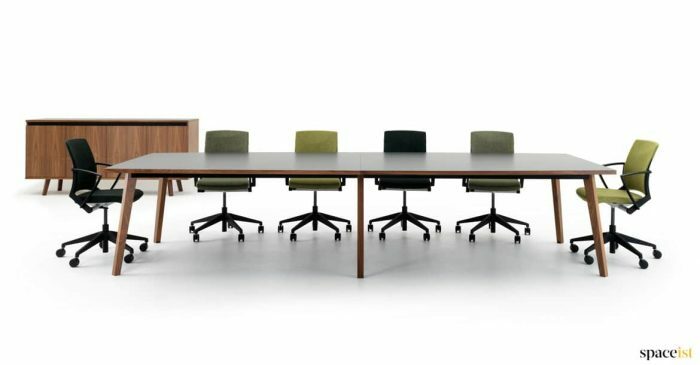 Whether you’re looking for a classic executive boardroom table or a modular, flexible or fliptop solution that will allow you to repurpose space for conferences and training, we can help. 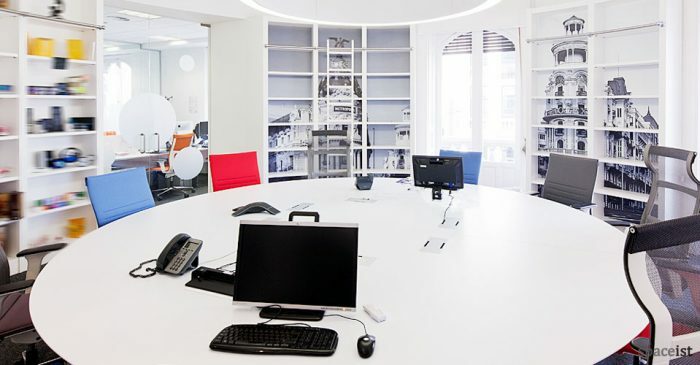 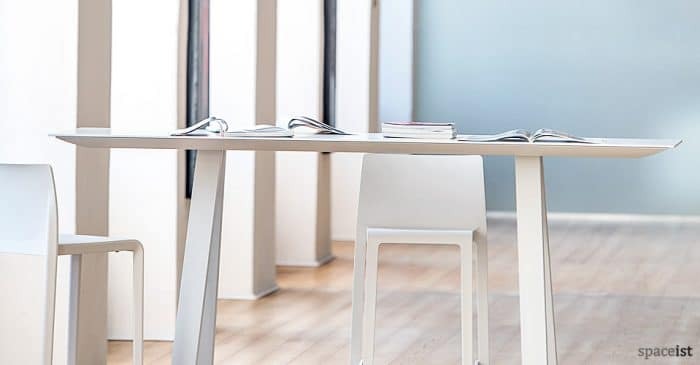 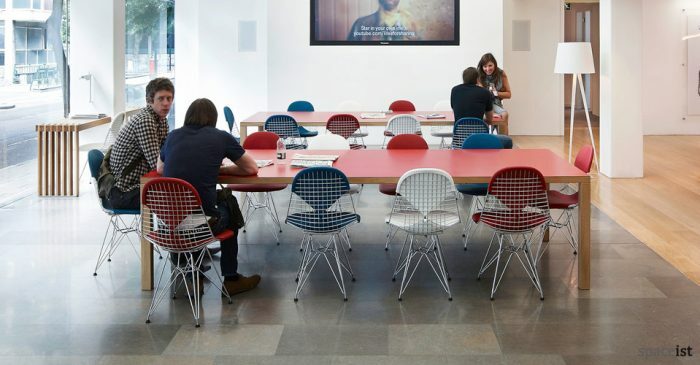 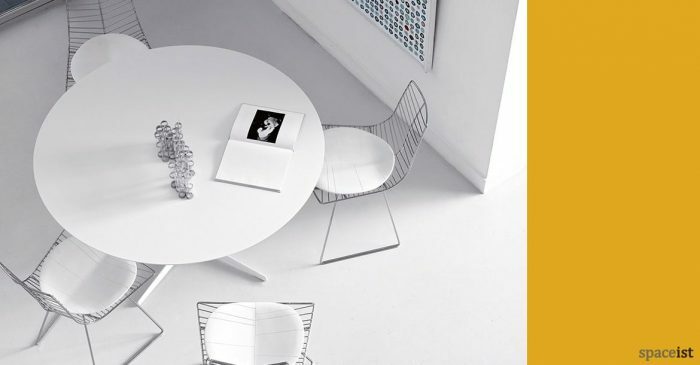 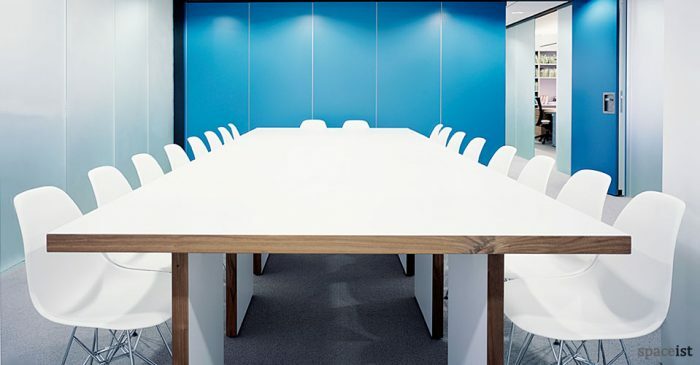 Start by using our free guide to work out what size meeting room table you need and see how to make the best use of available space. 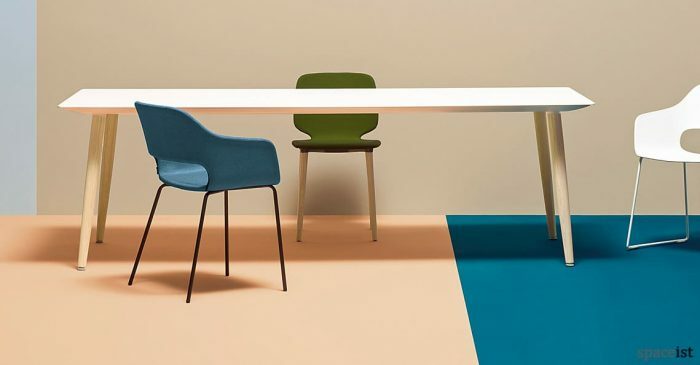 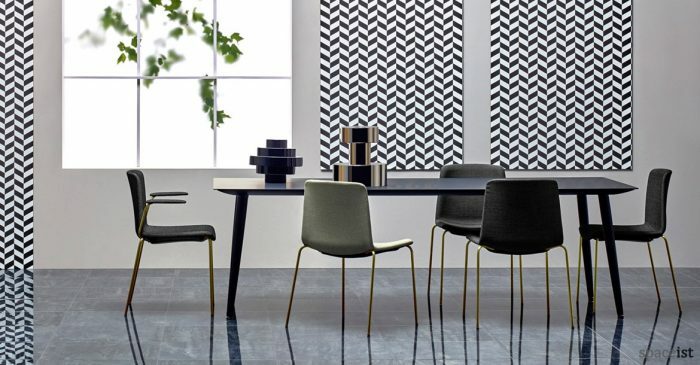 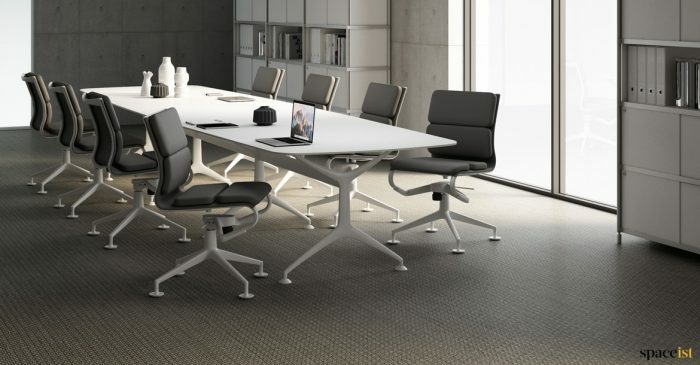 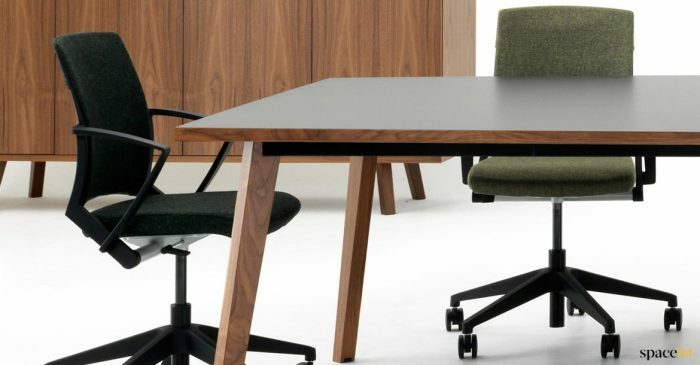 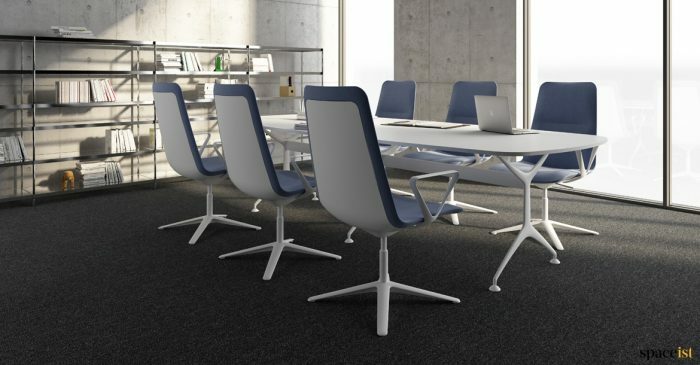 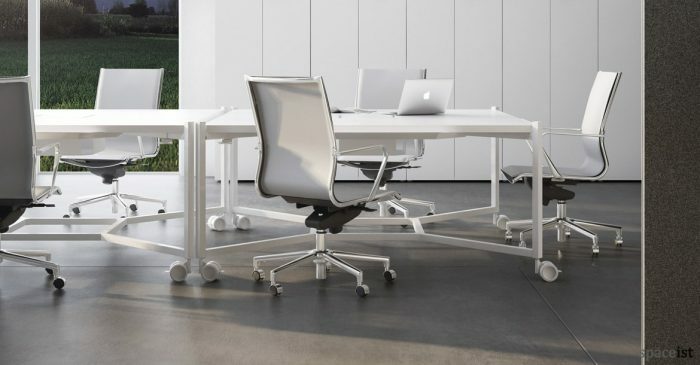 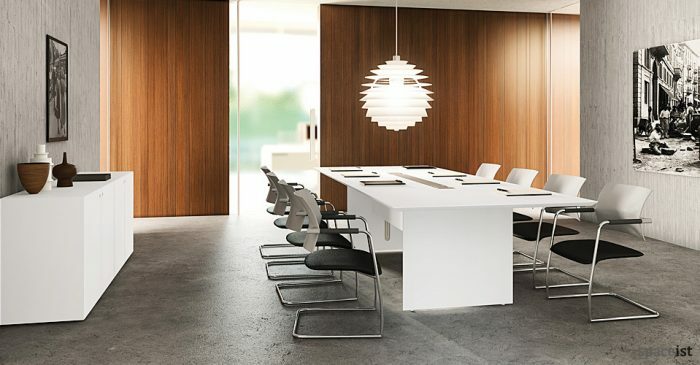 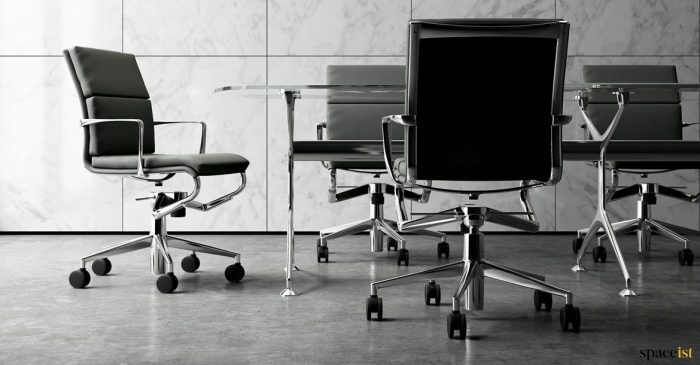 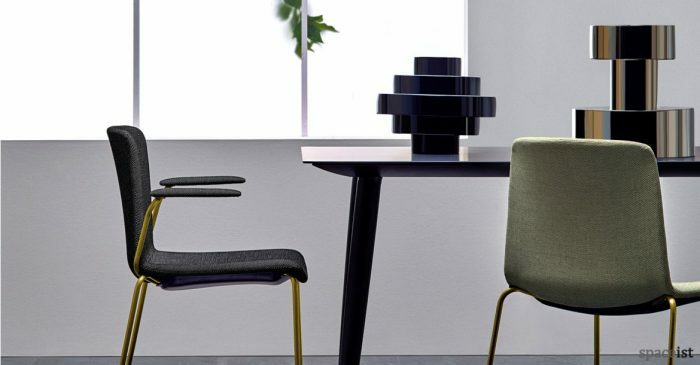 As meeting table specialists we offer expert advice on everything from design and durability to integrating technology and cable management, to matching meeting, conference and boardroom chairs and storage furniture. 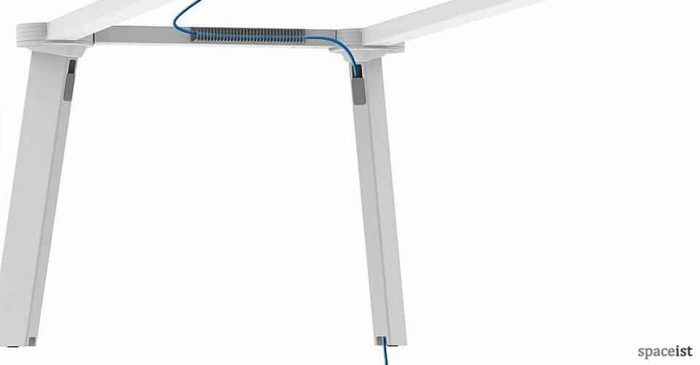 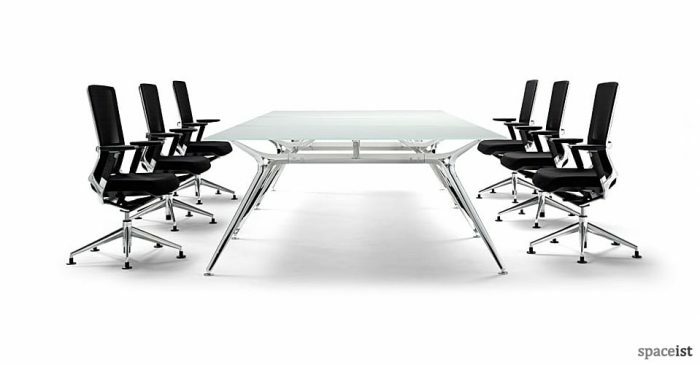 Designer glass meeting room table with aluminium legs. 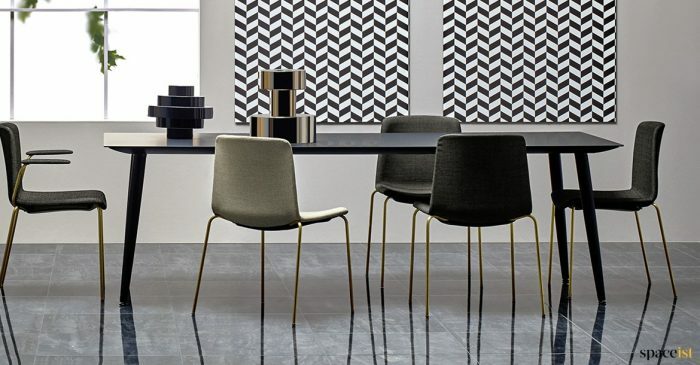 Top colours include frosted, white, black & blue glass. 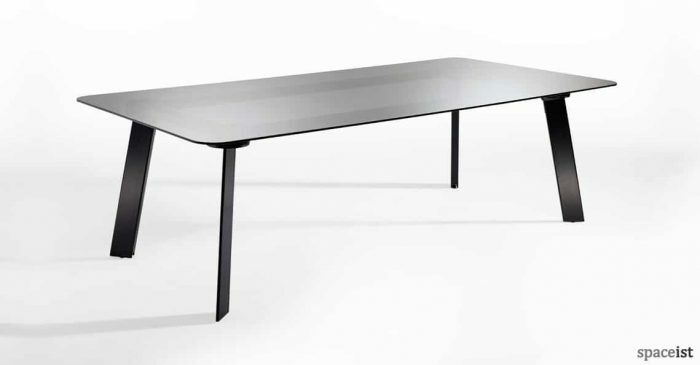 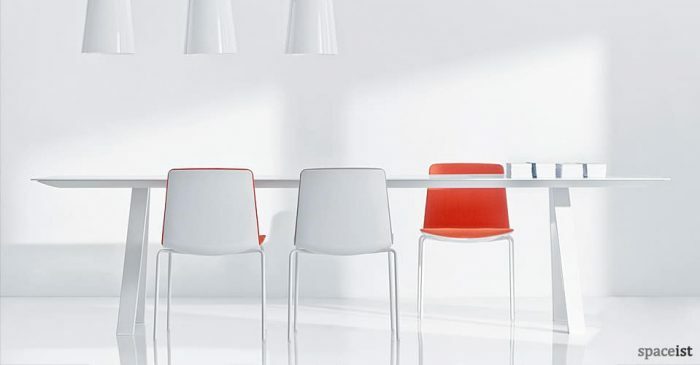 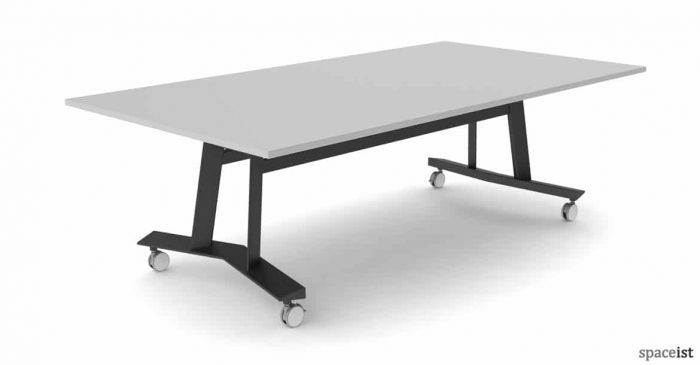 High meeting table with a white or black laminate top & powder coated steel leg. 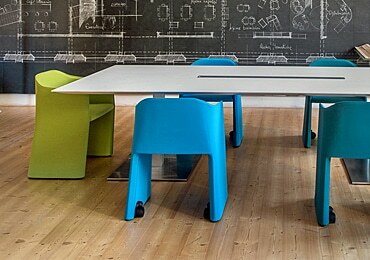 Matching meeting table. 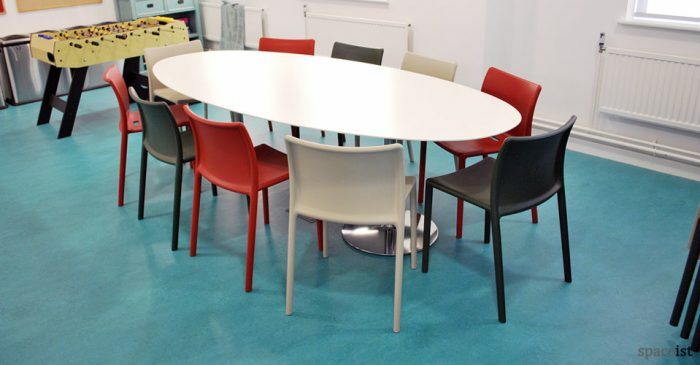 Circular meeting table available in 140 and 160cm diameter. 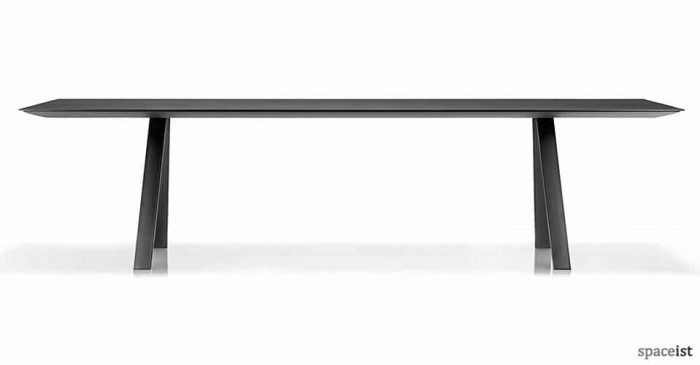 The steel base comes in black or white with a matching top. 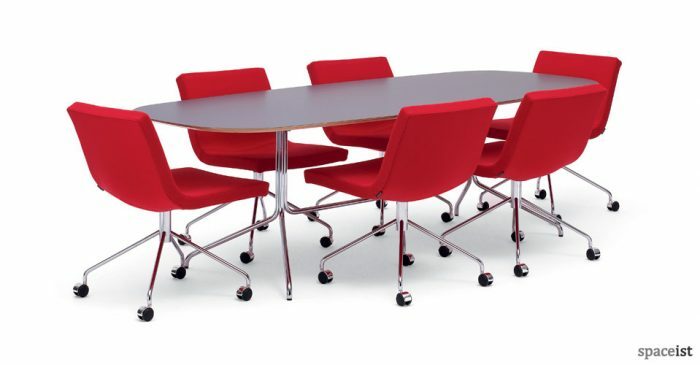 Circular meeting table available in 140 and 160cm diameter. 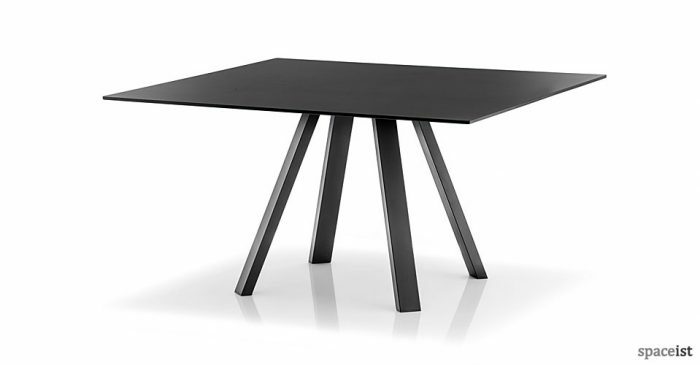 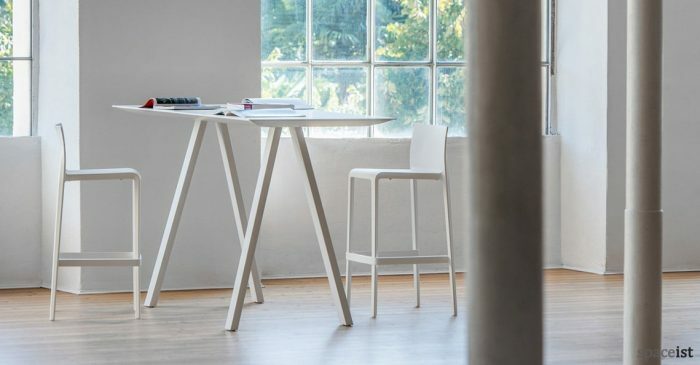 The base comes in solid oak or steel coated in black or white. 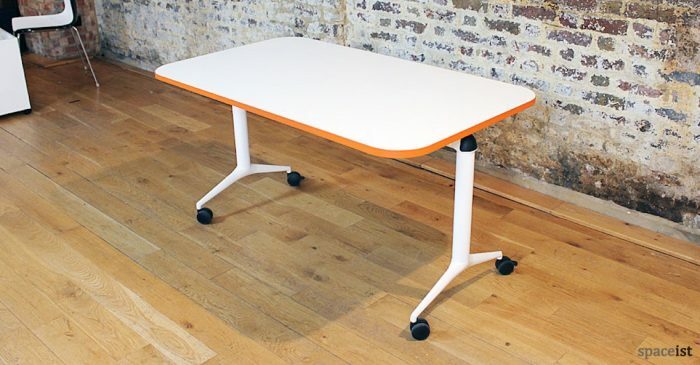 White meeting table with a solid oak trestle type leg. 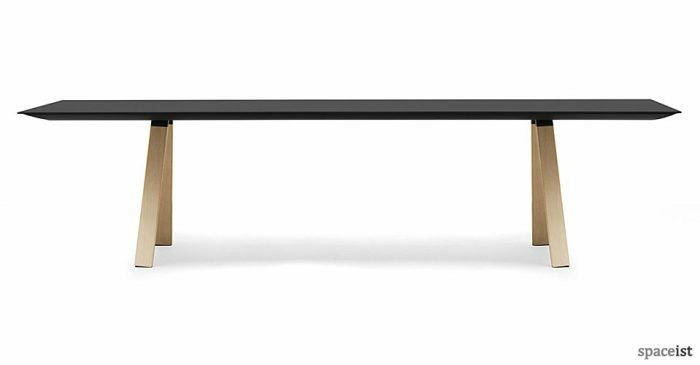 Top comes in black or white 5mm laminate. 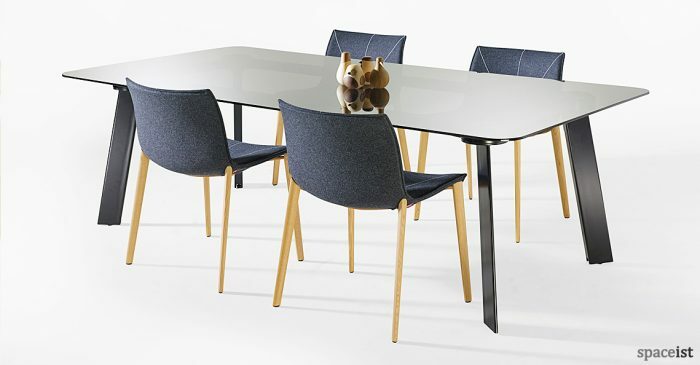 Modern meeting table with a solid ash tapered leg. 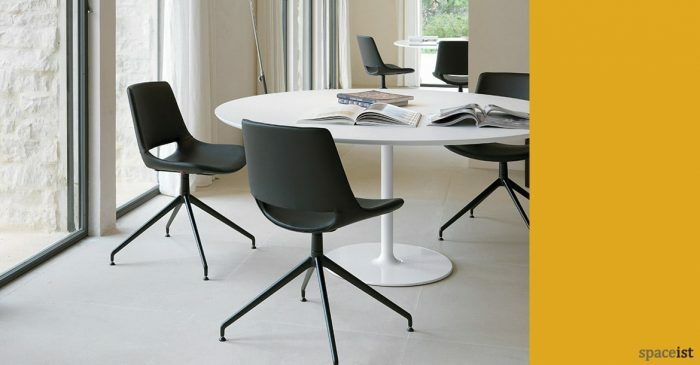 5mm hard wearing laminate top comes in black or white. 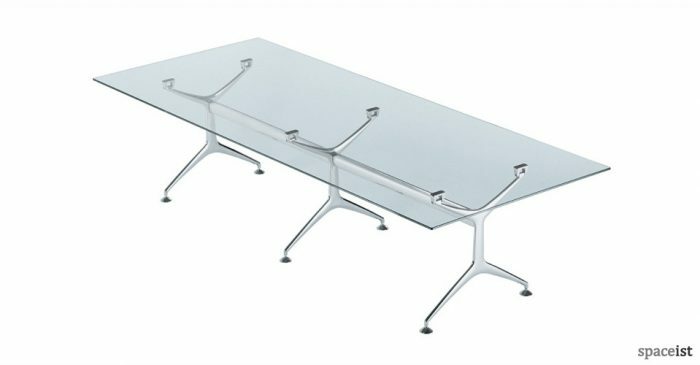 Glass meeting table with a smoke, white or clear glass top. 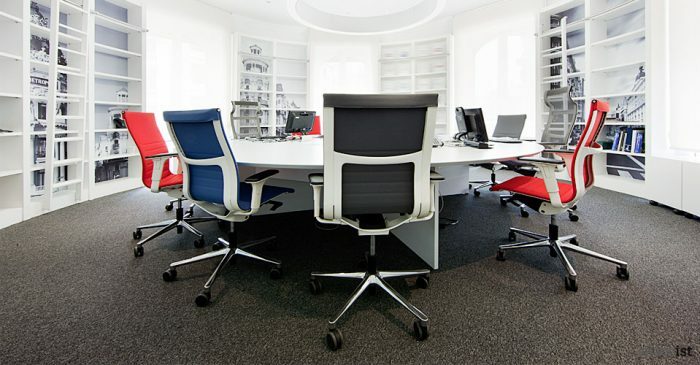 Premium colours are blue, yellow, red, orange, purple & chrome. 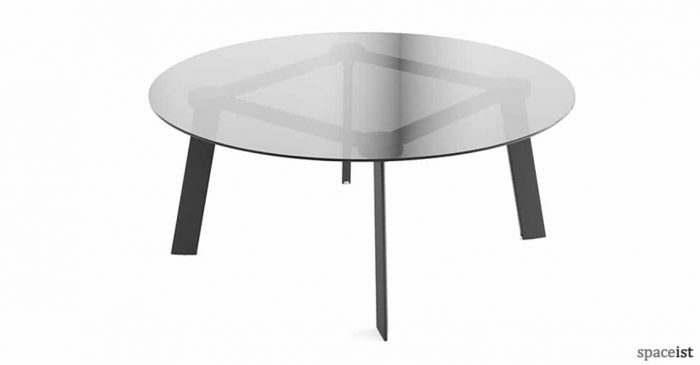 Round glass meeting table shown with a smoke glass top. 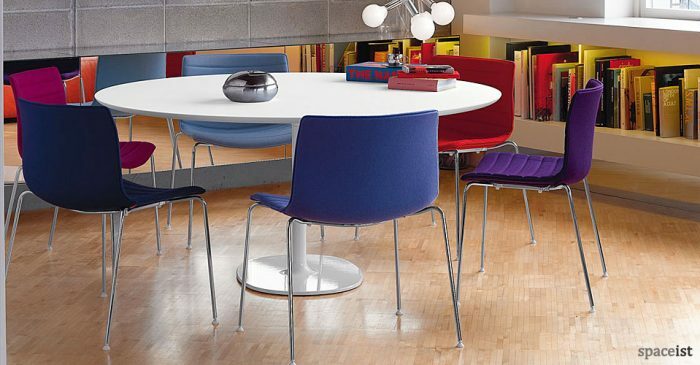 Premium colours are blue, yellow, red, orange, purple & chrome. 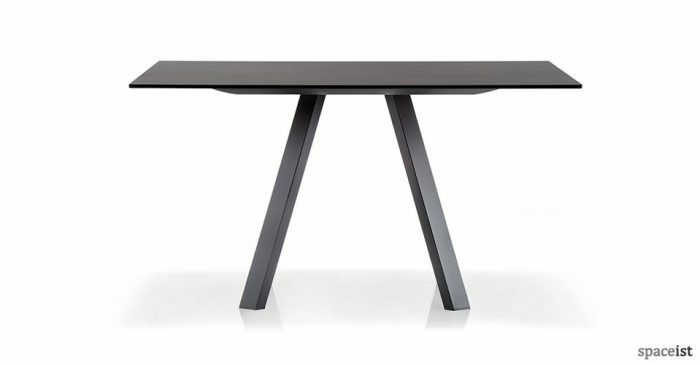 Square glass meeting table shown with a smoke glass top. 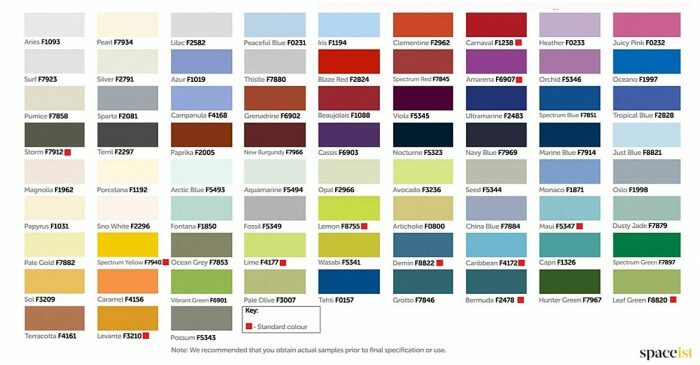 Premium colours are blue, yellow, red, orange, purple & chrome. 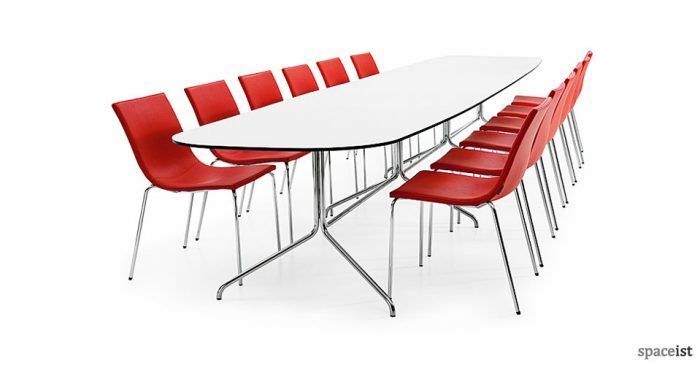 Large conference table to seat fourteen people. 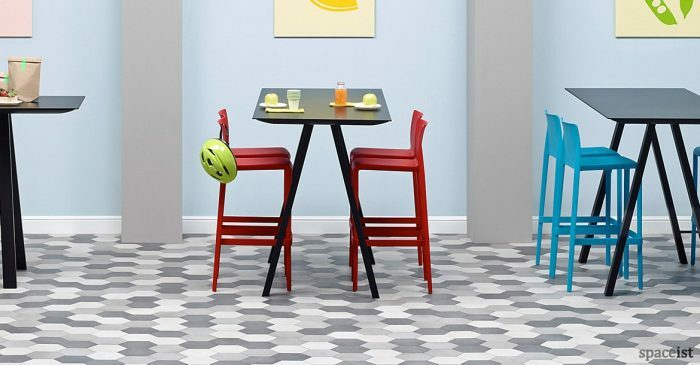 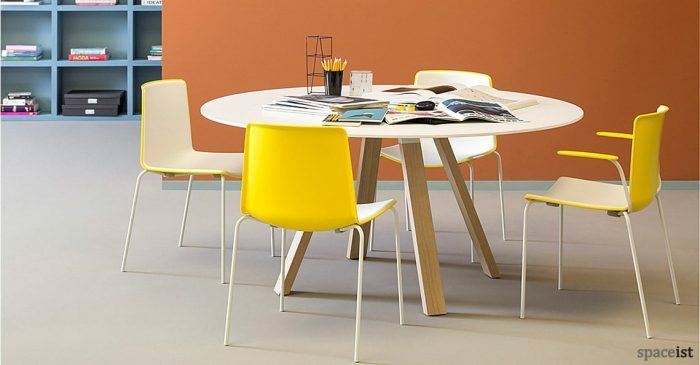 Laminate top colours include white, grey & oak. 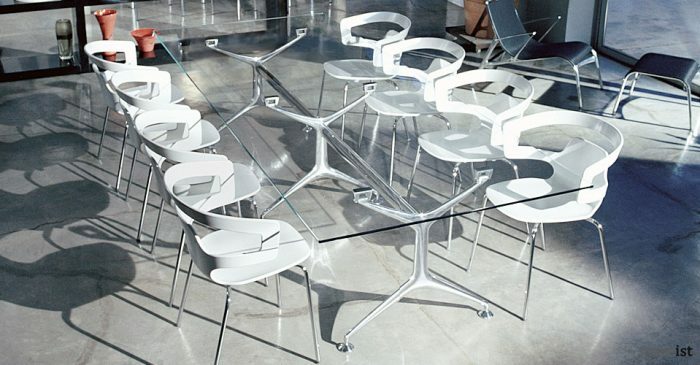 Rounded white meeting table with a tubular base. 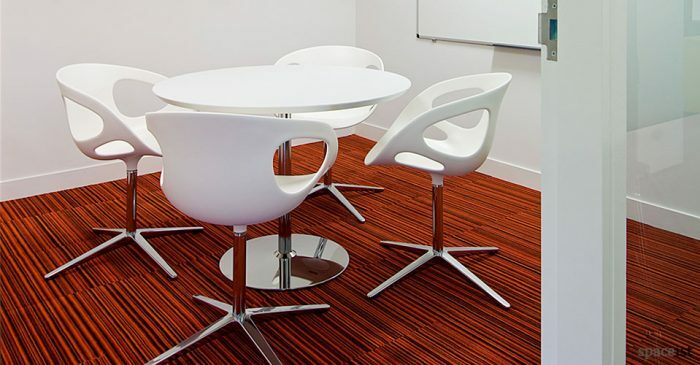 Laminate top colours include white, grey & oak. 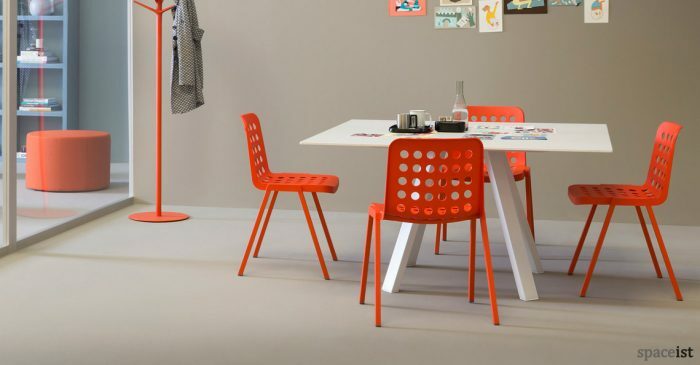 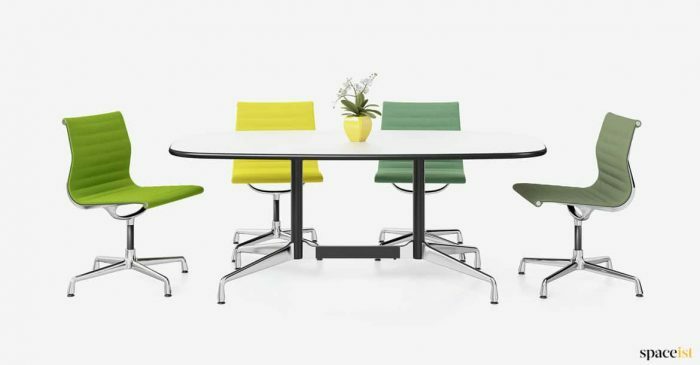 Classic Eames meeting room table. 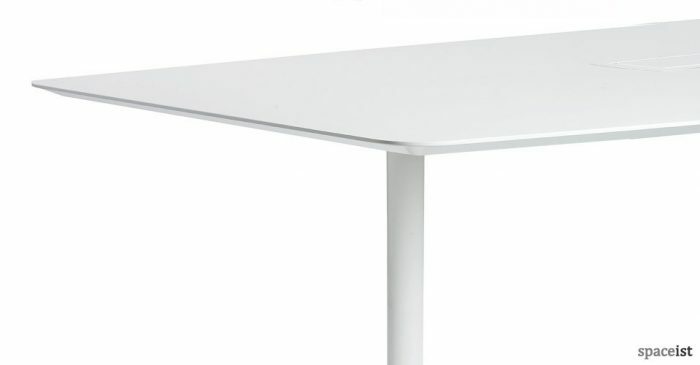 Top comes in white melamine with a black edge. 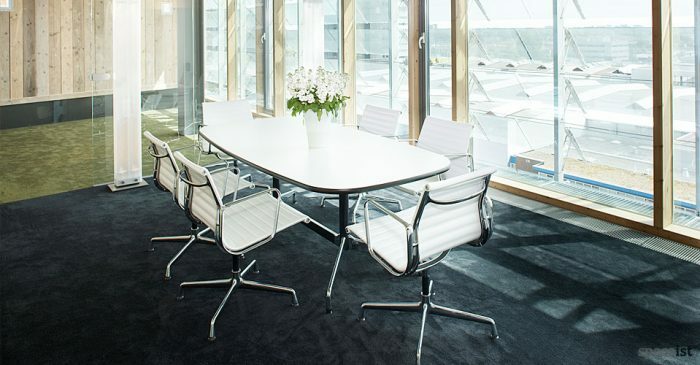 Classic Eames round meeting table. 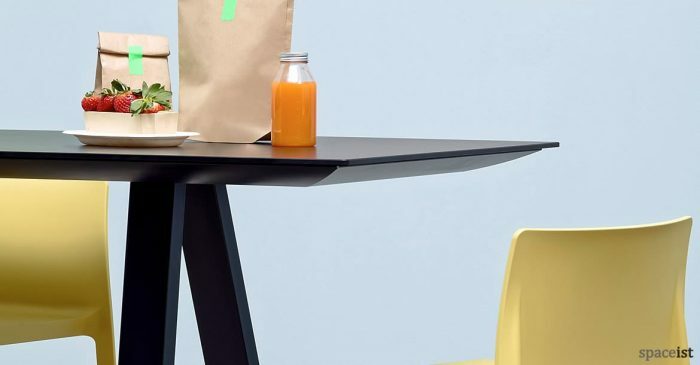 Top comes in white melamine with a black edge. 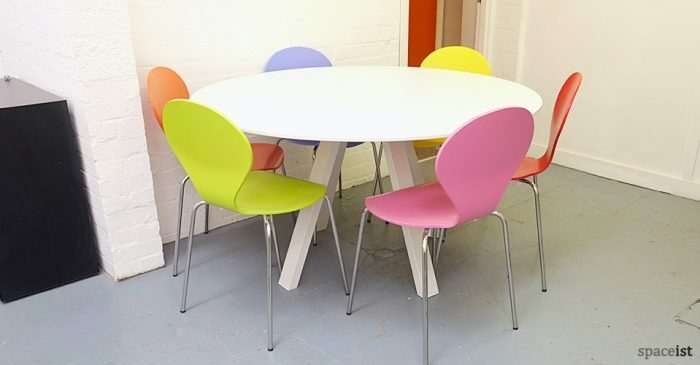 Round cafe table with a laminate top in white, black, wenge, oak, birch and over 100 colours. 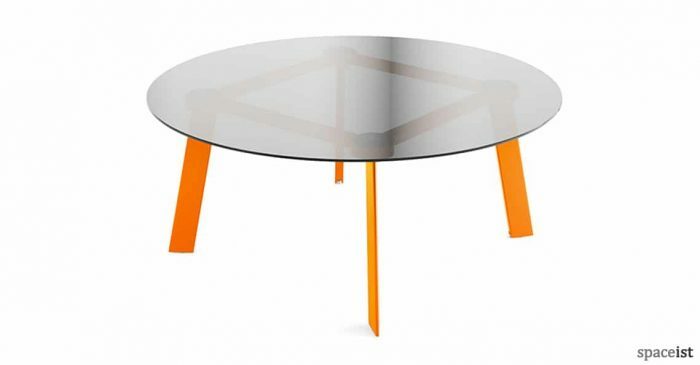 Base in chrome, black or white. 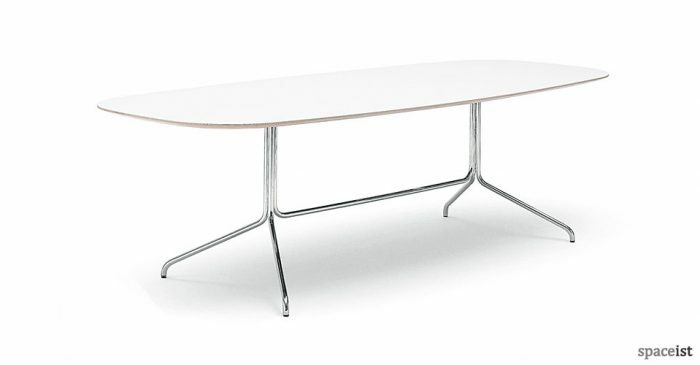 White meeting table with a 80cm, 134cm and 160cm round top. 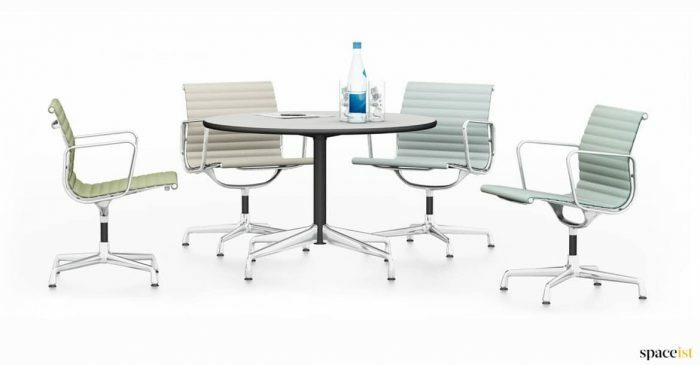 Base in white or chrome. 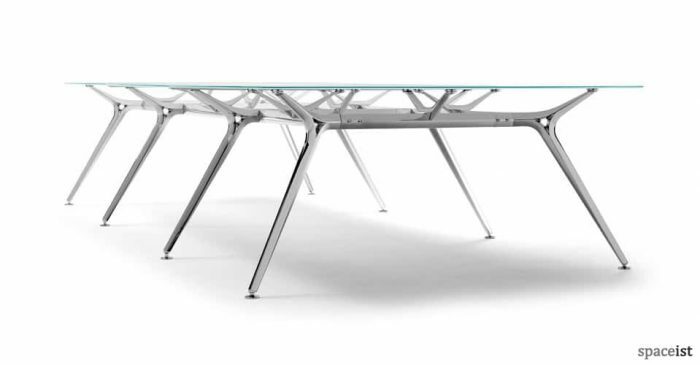 The DNA top comes in clear glass and legs are polished aluminium. 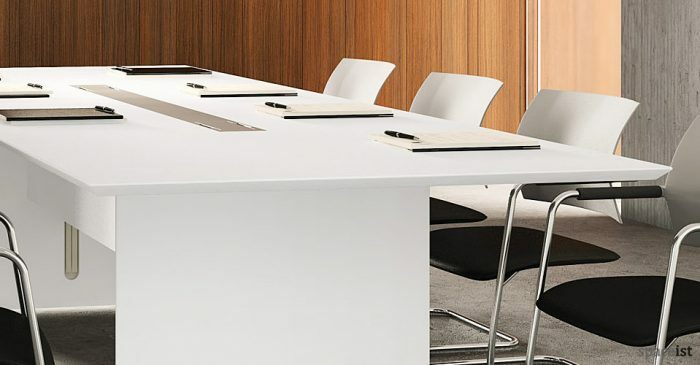 Elegant white boardroom table with a laminate top & polished base. 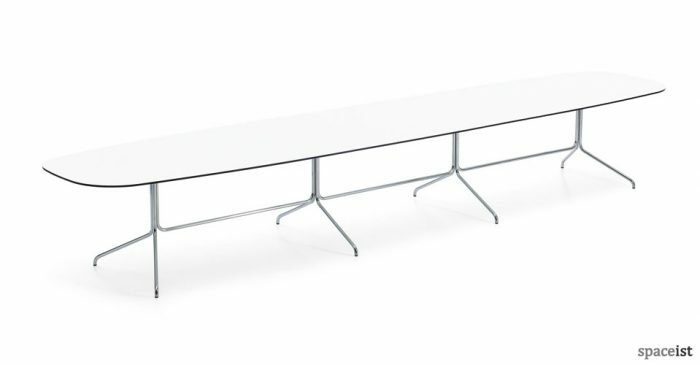 Top in white, light grey or black. 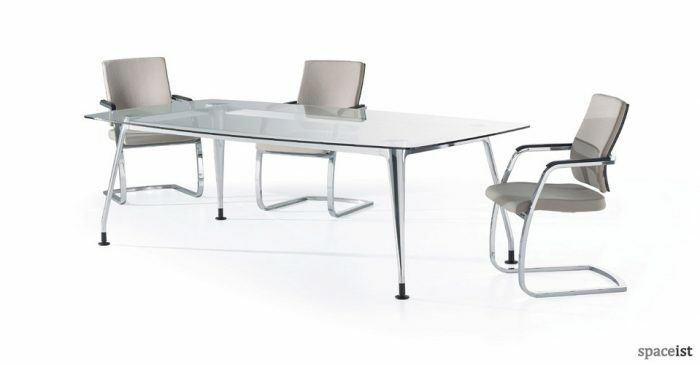 Glass boardroom table with a polished aluminium base. 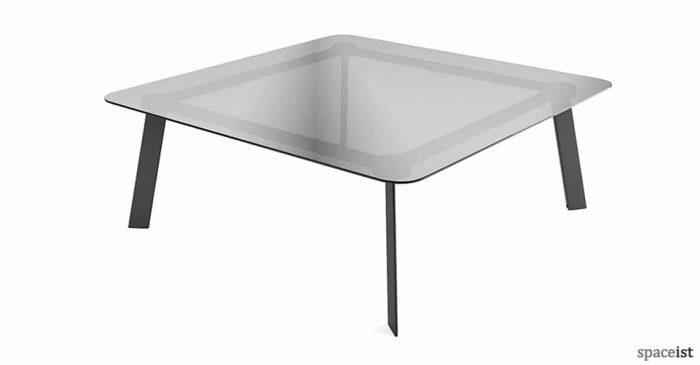 Glass top comes in clear, white or black. 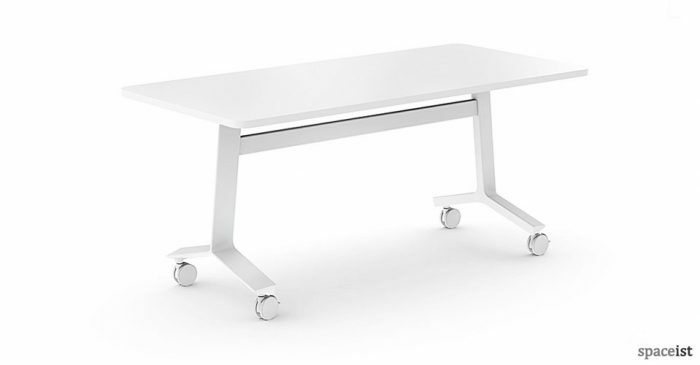 Glass meeting table with a polished aluminium base. 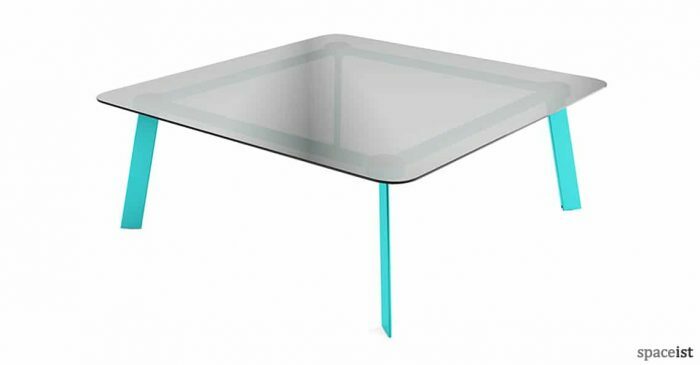 Glass top comes in clear, white or black. 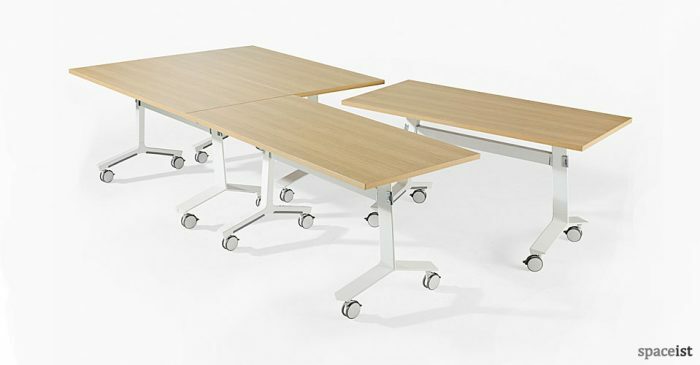 Square meeting table with or with-out castors. 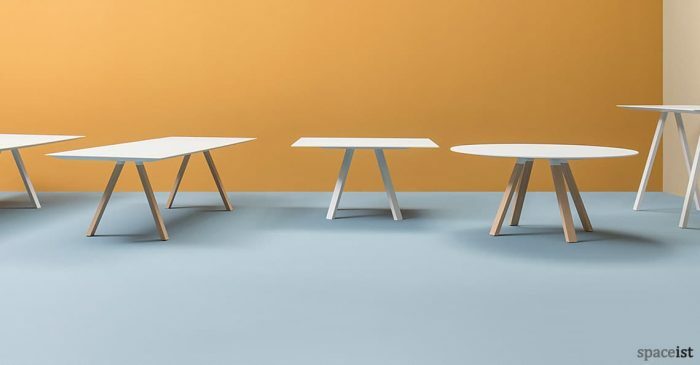 Top comes in white, grey, lacquered chipboard or herringbone. 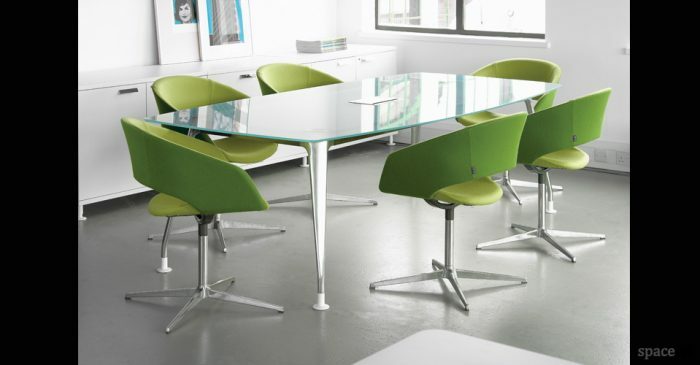 Cone shaped white meeting table. 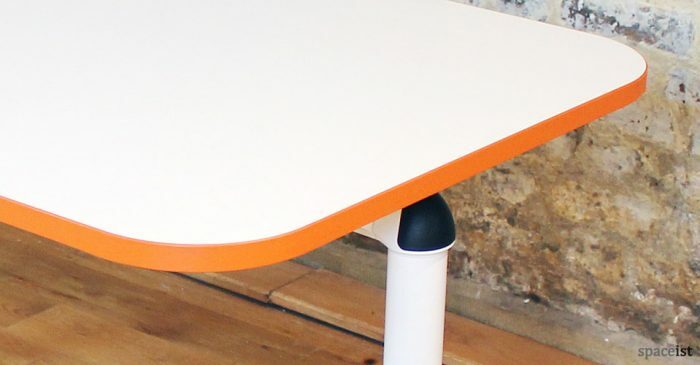 Laminate top comes in white or black. 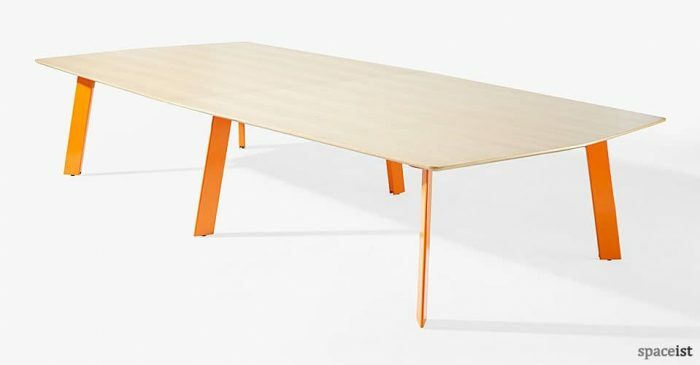 Base colour matches top.